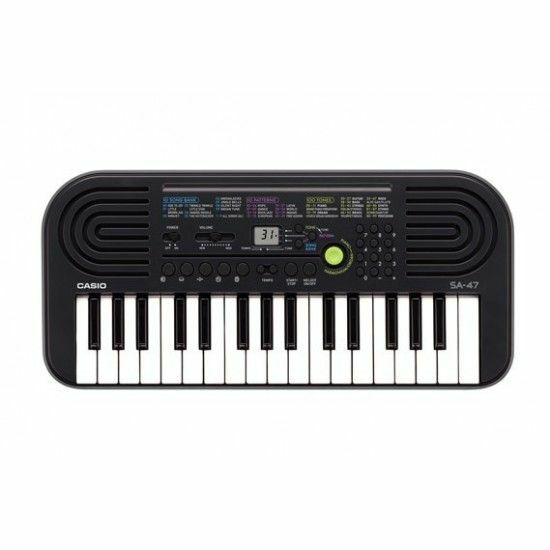 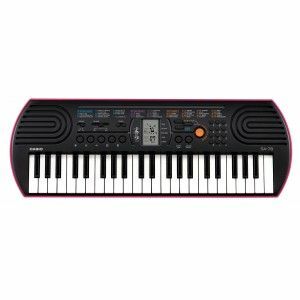 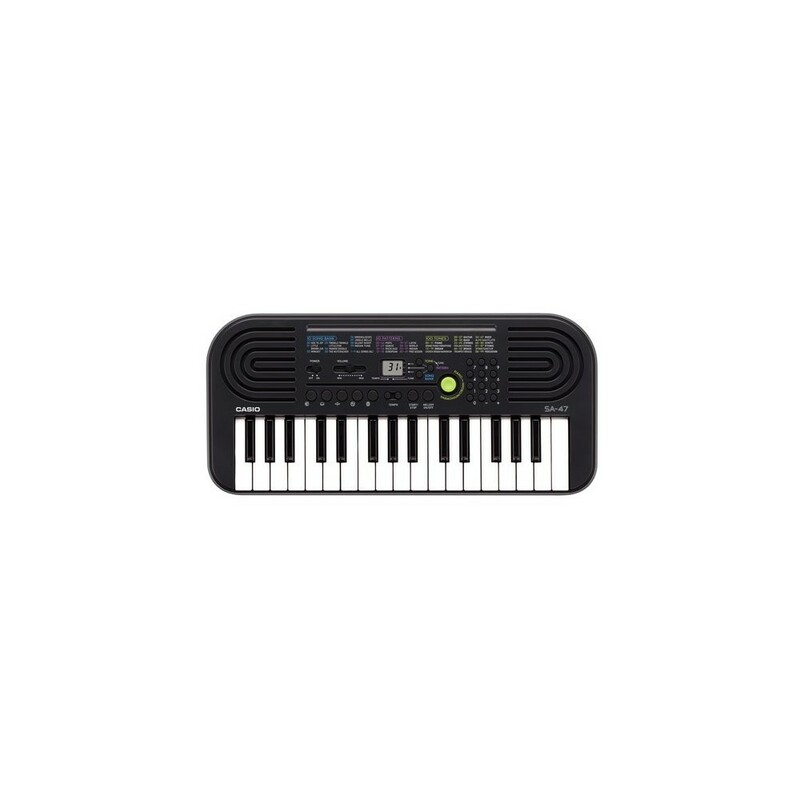 Casio SA-47 Mini Keyboard has 2-tone selection - PIANO, ORGAN tone button. 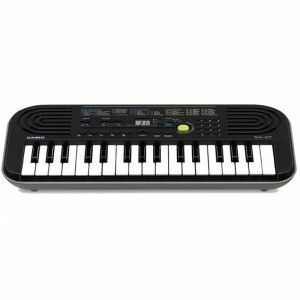 5 drum pad - Tapping a pad produces the corresponding drum sound! Keyboard Does not Include Adapter.